Ryan Giggs witnessed the tense rivalry between Manchester United and Arsenal during his 14-year spell in the Premier League. 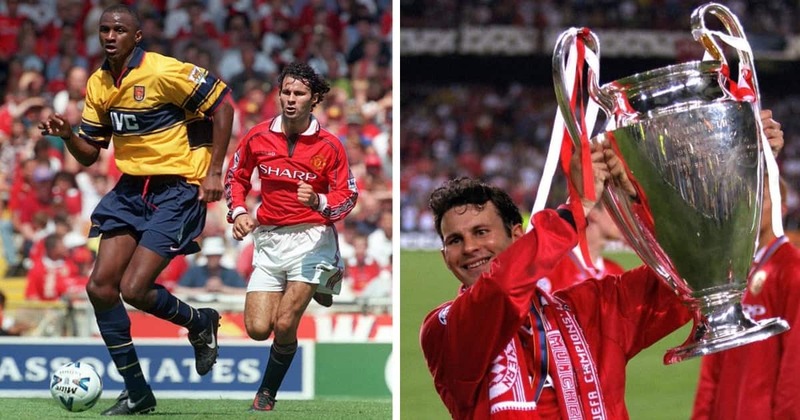 He played an integral part when United won the treble in 1999, a season after the Gunners had claimed the double. The success between the clubs went on to cultivate antagonism among respective fans and even players. At the time, Arsenal boasted the likes of Emmanuel Petit, Robert Pires and Patrick Viera who bossed the midfield and the ever magical Dennis Bergkamp up front. Despite the quartet's heroics on the pitch which were widely acclaimed, Giggs has come to admit he outrightly disliked them and even refused to rate them. "I didn't like Arsenal. I didn't like Vieira because he was dirty and got away with murder. I didn't like Petit because he had long hair. I didn't like Bergkamp," Giggs told the Daily Mail. "I didn't like Pires even though when you meet him now he's actually dead nice. I wouldn't even look at them, didn't know them and didn't want to. I wouldn't allow myself to rate any of them," he added. The Welshman spent his entire professional career at Old Trafford. He is the most decorated player in history, winning a record 13 Premier League titles, four FA Cup titles, two UEFA Champions League titles and host of other major titles. Meanwhile, Legit.ng had earlier reported that Ryan Giggs has put up his former family five bedroom mansion for sale weeks after divorcing ex-wife Stacey last year. According to UK Sun report, the property which is located in Manchester, has a swimming pool, cinema room and its own bar and will cost £3.5m.